There was a minor incident in the school today 10th Feb which caused the fire alarm to be activated. The response from school staff was in accordance with the school fire policy. All pupils were evacuated promptly and safely. The situation was appraised and there was no need for the fire brigade to come. 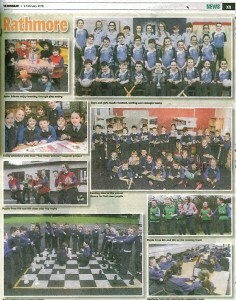 Pupils were allowed back to the school yard as normal and allowed back into school after big big break. 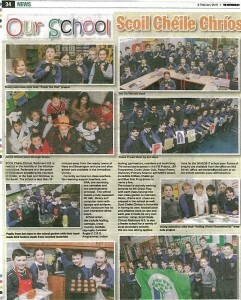 I would like to praise the pupils and staff for their handling of the situation. NOTE: candidates sit with their parents on either side of them. 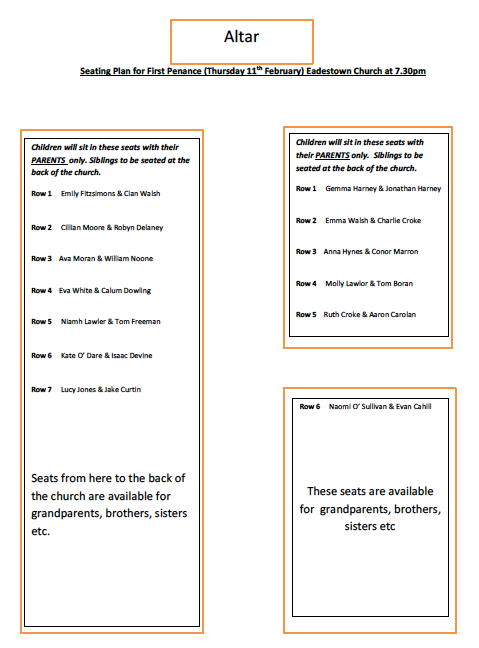 Due to the size of the church, there is only enough room for parents on their child’s allocated pew. Extra siblings etc will find a limited number of seats at the back of the church. 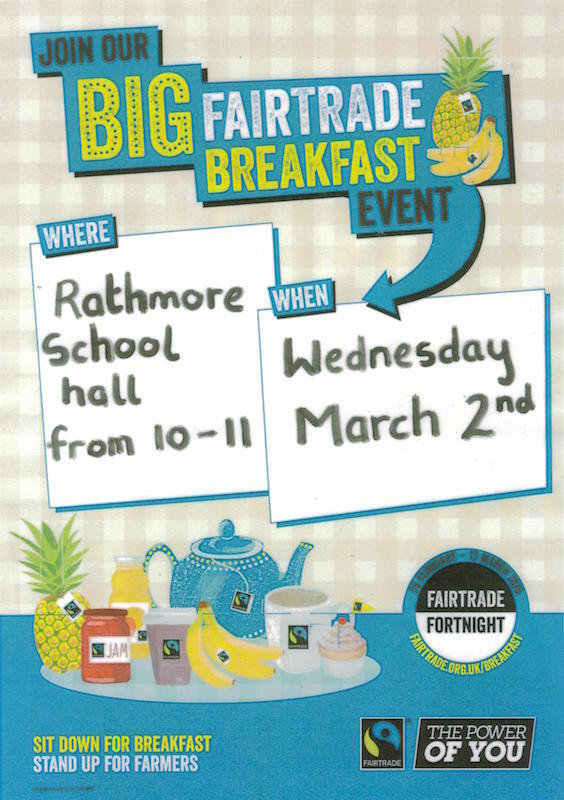 Due to our recent status as ‘Fairtrade School’ we’re delighted to have a guest speaker from a coffee farm in Honduras come visit our school as part of Fairtrade Fortnight. 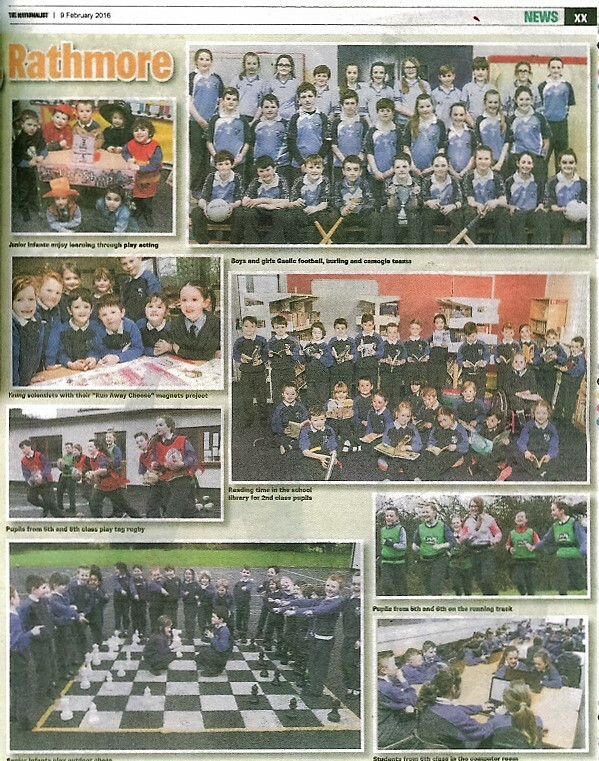 The event is taking place on Wednesday 2nd March at 10am in the school hall. 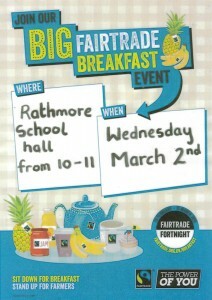 Our Greenschools Committee will be hosting a Fairtrade tea/coffee & treats morning to coincide with the guest speakers. You’ll also get to hear about the origins of a typical breakfast. There will be lots of other fun things happening as well. ALL ARE INVITED ! Details of bus routes and contact numbers for the companies and drivers can be found HERE or from the TRANSPORT menu.